This feature allows you to check for the availability of OpKey Execution Agent update and update it, if any update is available. 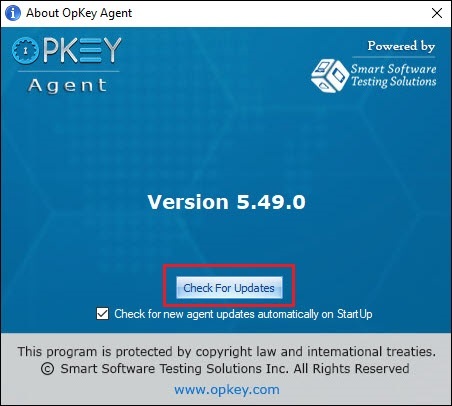 Click on Check for Update link of OpKey Execution Agent for checking and updating your Execution Agent, for any available Agent update. If Check for new agent updates automatically on StartUp checkbox is checked then it will check for the available Agent updates automatically on startup.